You are currently browsing the tag archive for the ‘alcohol-exposed pregnancy’ tag. Most interventions and programs to prevent alcohol use during pregnancy focus on encouraging pregnant women to abstain from alcohol use. However, one of the most consistent predictors of alcohol use during pregnancy is women’s drinking patterns before pregnancy. As well, a large majority of women have been drinking alcohol for many years prior to getting pregnant. 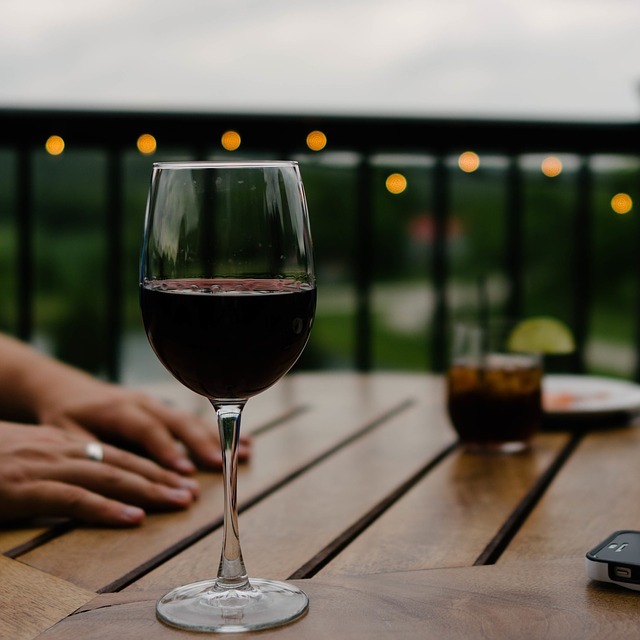 A recent journal article published in the Maternal and Child Health Journal (April 2015) looks at data from the National Survey of Family Growth in the United States to estimate the number of women during a one month period who are at risk of having an alcohol-exposed pregnancy. (An “alcohol-exposed pregnancy” means that a woman is drinking alcohol, sexually active and not using contraception). The study found that during a one-month period, nearly 2 million women in the United States were at risk of an alcohol-exposed pregnancy, including 600,000 who were binge drinking. This translates to 3.4%, or 1 in 30, non-pregnant women being at risk of an alcohol-exposed pregnancy. Interestingly, being at risk for an alcohol-exposed pregnancy was not clearly associated with most demographic and behavioral characteristics (e.g., income level, tobacco use, ethnicity, education level, etc). That said, women in this study who were planning to get pregnant were the ones who were at highest risk of an alcohol-exposed pregnancy – because they often continue to drink until they find our they are pregnant (and thus exposing the fetus to alcohol for several weeks or even months). As a recent report on alcohol use in OECD countries describes how rates of alcohol use (including binge drinking) continue to rise in young women in many parts of the world. This suggests the importance of strategies to improve women’s overall health in relation to alcohol (e.g., emphasizing a culture of moderation with low risk drinking guidelines) and FASD prevention activities that target alcohol and contraception use prior to pregnancy and in the preconception period. Cannon, M.J., Guo, J., Denny, C.H., Green, P.P., Miracle, H., Sniezek, J.E., Floyd, R.L. (2015). Prevalence and Characteristics of Women at Risk for an Alcohol-Exposed Pregnancy (AEP) in the United States: Estimates from the National Survey of Family Growth. Maternal and Child Health Journal, 19:776–782. DOI 10.1007/s10995-014-1563-3. The final report, including 63 recommendations, by Commissioner Wally Oppal was released in mid-December. While the story of the missing and murdered women might seem unrelated to FASD prevention, health and social service providers who work with women who have experienced (and continue to experience) these interlinking factors – violence, poverty, addiction, racism, mental health issues, intergenerational impact of residential schools – would argue differently. Many women who are at risk for having an alcohol-exposed pregnancy are facing one or more of these issues. 46% were still at risk of having an alcohol-exposed pregnancy. As another example – some of you may be familiar with the InSight Mentoring Program in Manitoba, an outreach program that provides intensive support to women who are pregnant or have recently had a baby and have substance use problems. Of the first 60 women to enroll in the program, 100% reported experiencing abuse or violence at some point in their lives (Umlah & Grant, 2003). These research findings illustrate the importance of recognizing and understanding the role violence and other related factors plays in the lives of pregnant women struggling with their use of drugs or alcohol. Reports like the one from the Missing Women Commission of Inquiry serve as a reminder that these issues are not isolated events or confined to pregnancy and require broader systemic changes. Astley SJ, Bailey D, Talbot T, Clarren SK (2000). Fetal alcohol syndrome (FAS) primary prevention through FAS Diangosis: II. A comprehensive profile of 80 birth mothers of children with FAS. Alcohol & Alcoholism, (35) 5:509-519. Umlah, C. & T. Grant (2003). Intervening to prevent prenatal alcohol and drug exposure: the Manitoba experience in replicating a paraprofessional model. Envision: The Manitoba Journal of Child Welfare, 2(1): 1-12.